Best Cleaning London rug cleaning service aims at restoring the beauty, vitality and the original freshness of all your rugs. This will effectively and economically extend the life of your rugs by removing household dust, dust mites, pollen, etc. 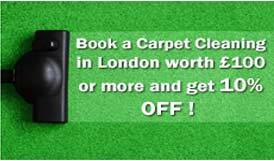 Best Cleaning London know that your rugs were purchased as much for their worth as their charm and we are fully trained and insured to undertake work on even the most expensive rug. Expensive rugs increase in value over time often becoming priceless possessions. Professional End Of Tenancy Cleaning South in London care provides the only way of protecting these valuable articles, to ensure their longevity. We use gentle professional cleaning methods to keep your rugs safe. Our expertly trained technicians will begin the cleaning process by identifying the fibers and dyestuff in your rug to ensure that the cleaning method applied, is the best for your product. No matter what kind of rare or beautiful rug you own, you can be sure that Best Cleaning London’s technicians will know just how to care for it and keep it in immaculate condition. There is no doubt that if you are looking for a Tenancy Move Out Cleaning in London you will have to go a long way to find a rug cleaning service that is more efficient than Best Cleaning London Ltd. We know how to care for the most delicate of rugs and enhance the appearance and the longevity of some of the most expensive, precious and antique rugs in the capital. With many years of experience in cleaning of all sorts of rugs, Best Cleaning London Ltd. is the people to call in for rug cleaning. It will not matter what size the rug is or how many of them you would like to be cleaned at Best Cleaning London We are happy to clean one rug or a dozen. One thing we will never compromise on, however, is the attention to detail with which we approach every rug cleaning using the same precision and care as we would for our own rugs. Many of our clients choose to have their rugs cleaned on a regular basis and we will be happy to discuss a regular rug-cleaning schedule with you. A person sheds about 1.5 million skin flakes an hour, most of which become embedded in our rugs and carpets. 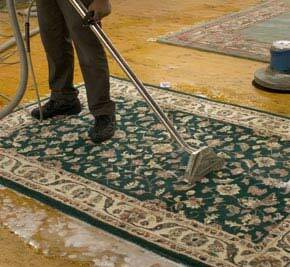 To make a rug or carpet brighter, sprinkle salt onto the rug and let it stand for an hour before vacuuming it up. Salt is also effective in removing muddy footprints. The phrase “to sweep under the rug” in its figurative sense was first recorded in 1963. For those who have horses, we have a horse rug cleaning service for any number of rugs and are confident that you and your equine friends will be delighted with the results. We pride ourselves on the quality of our domestic cleaning in London and we have a strict guide that we apply to every cleaning job.